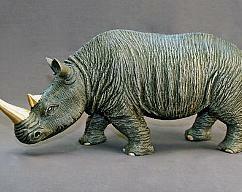 DON’T MISS THIS RARE OPPORTUNITY TO OWN THE COVETED WILDLIFE SCULPTURE OF FAMED ARTIST BARRY STEIN! 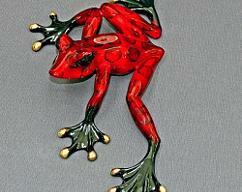 Barry Stein's brightly colored and exquisitely detailed bronze frog sculptures amaze both art lovers and wildlife enthusiasts. 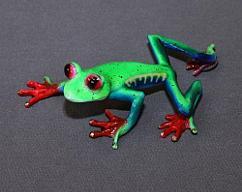 He begins his painstaking artistic process in wood, which is more difficult but results in meticulously lifelike detail in the final bronze sculpture, and then completes the artwork with a patina finish that mimics the frogs’ real colors in nature! This is truly an exclusive offer; Stein's work rarely appears for less than the retail price! 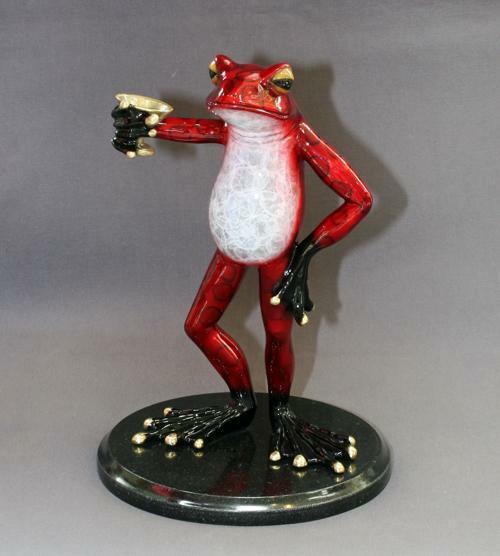 "Martini Frog" is a limited edition bronze sculpture, numbered and hand signed by Stein. Includes Certificate of Authenticity! Measures approx. 11" (height); 10 lb. (weight). Self-taught, Oregon-based sculptor Barry Stein’s affinity for nature and its creatures is captured through his intricate bronze sculptures. Stein’s process begins with carving his designs in wood as opposed to the more popular clay or wax. Though clay and wax are easier to work with, wood allows for more subtle details to show through the bronze. 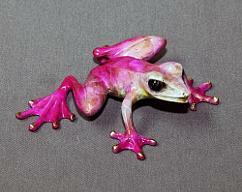 After the sculpture is cast, the stunning colors, most of which are found in nature, are applied through patinas. His painstaking attention to detail has made Stein one of the Pacific Northwest’s premier artists. Stein spends hours in the wild researching wildlife and their natural surroundings. His love of nature shows through his work, which is why his bronze sculptures are coveted by art collectors everywhere. Stein’s pieces are on display in prestigious collections throughout the world, including The Waldorf Astoria Hotel in New York City, The New York Hilton Hotel, New York Essex House, Hyatt Regency, The Venetian Hotel in Las Vegas, and the Pentagon.